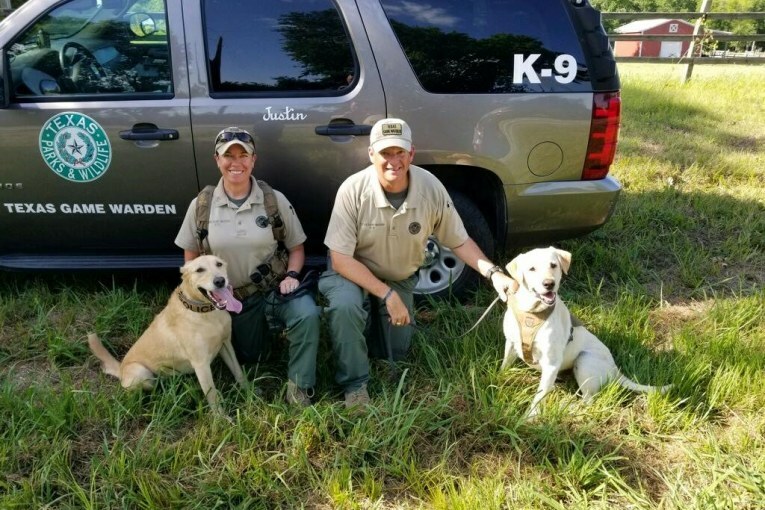 The Grimes County Sheriff’s Office would like to extend their utmost appreciation to the Texas Parks and Wildlife Officers that assisted in an evidentiary search this date. K9 Game Wardens David Thorne, John Thorne and Captain Christy Vales so graciously offered the assistance of their K9 partners in locating evidentiary items crucial in prosecuting a major violent offense. 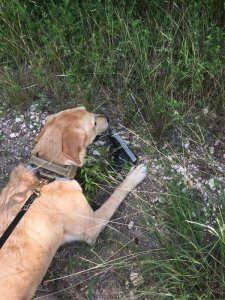 Captain Christy Vales and K9 partner Ruger deployed in an area on FM 149 East of Richards where two firearms used in the commission of an assault were thought to have been discarded. Within 35 minutes of deploying, K9 Ruger alerted on a loaded semi-automatic firearm that is believed to be connected to this offense. Game Warden John Thorne and K9 partner Justin also deployed in this same area. Approximately 10 minutes later, K9 Justin alerted on another semi-automatic pistol also connected with this offense. Locating both firearms was a very high priority for Investigators with the Grimes County Sheriff’s Office, not only as evidence, but to prevent these weapons from ending up the hands of children or someone with ill intentions. 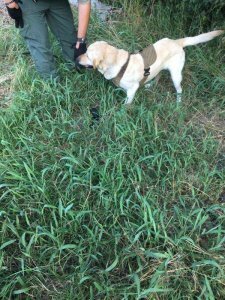 Without the assistance of these K9 handlers and their partners, this task would have been nearly impossible to accomplish. Criminal charges have been pursued against the individual responsible for the violent offense and the prosecution of this case will be easier with the firearms collected as evidence. 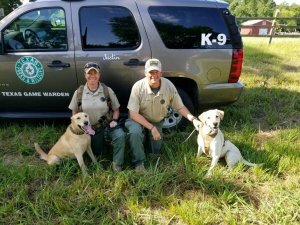 Thanks again Texas Parks and Wildlife and to the dedicated K9 Handlers for your assistance!